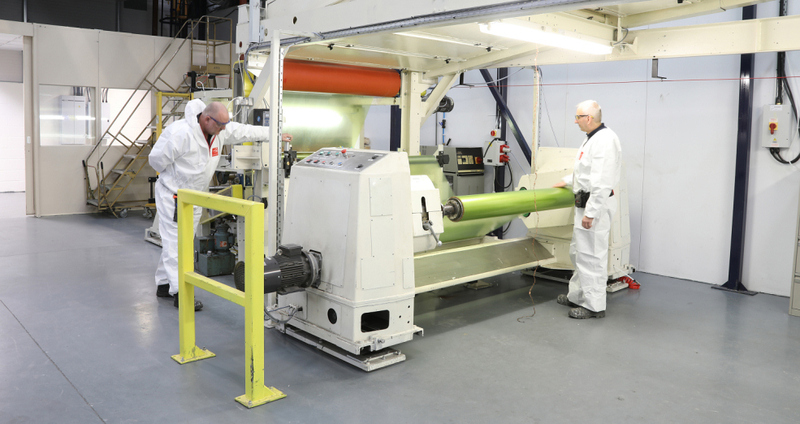 DEP’s expertise in developing, coating and converting print receptive and adhesive coated products has led it to become a leading manufacturing partner to a wide range of diverse tape suppliers. Working under confidentiality agreements we modify our own chemistry to meet exact and demanding customer requirements. DEP are a leading converter of paper and film based tapes for banding bank notes and stationery. DEP are a leading converter of paper and film based tapes for banding stationery, bank notes and consumer items. Fast and clean with no wet adhesives to soil the product or self-adhesive to damage the packaging. A range of paper based materials in brown, white and printed. Film based materials for strength. Product formulated to seal by traditional heat-seal or ultrasonic bonding. Tape width from 12 mm to 500 mm. Roll length from 50 m to 1500m. Various core sizes to suit equipment. 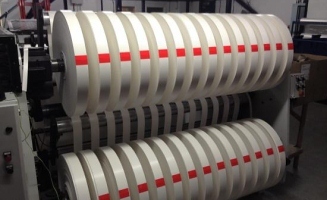 Heat Seal banding tapes can be produced specifically for automated machines in the industry such as Akebono and Palamides. Calico cloth and linen tapes coated with a pressure sensitive adhesive with a release liner. Application: Spine binding particularly where repeated folding is involved such as for a Passport. A light weight paper coated with re-moistenable adhesive. A material which is excellent for archival applications because of acid free properties.